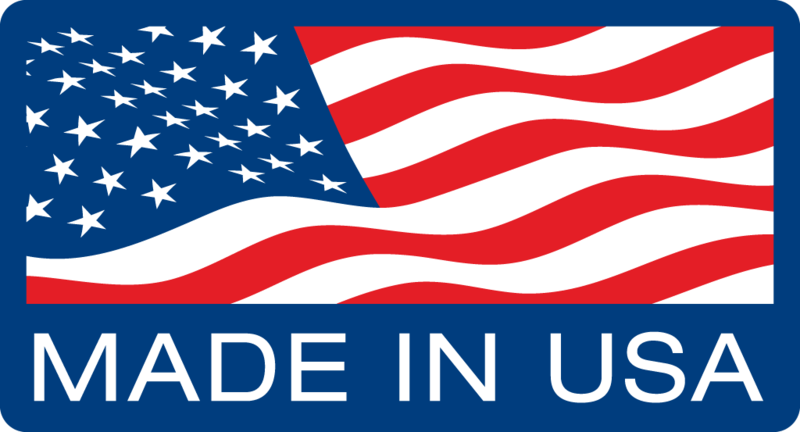 Home » BuildBlock ICFs selected in Holy Shepherd Lutheran Church project for superior performance characteristics and ease of construction in Orinda, CA. 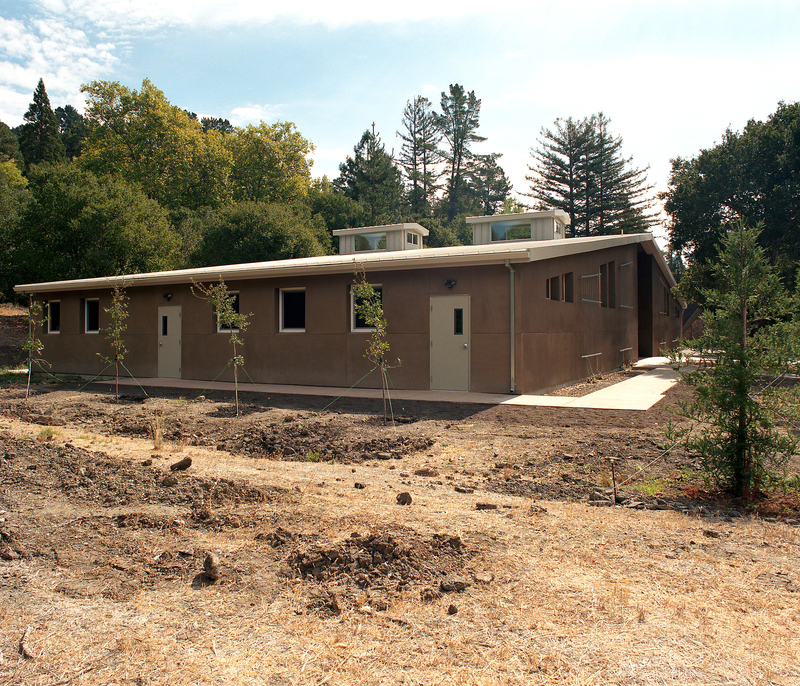 Holy Shepherd Lutheran Church in Orinda, California chose BuildBlock ICFs for their church. 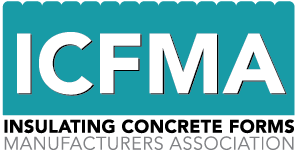 ICF was selected as the structural material for the walls of this building because it offered superior performance characteristics and ease of construction. Designed by Stanton Aarchitecture in San Francisco, California, this active community building includes the pastors office, work space, chapel and assembly hall. Flexibility was important. 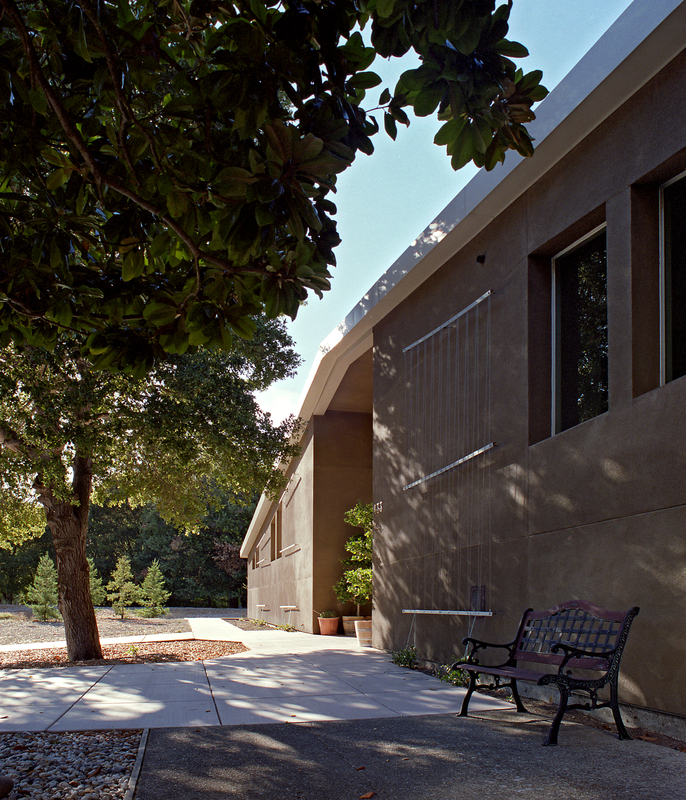 The use of ICF in conjunction with the careful orientation and placement of the windows and the high ceiling space has resulted in a space ideally suited for the multiple uses and the energy efficiency needed for the three-season climate of its Northern California site.The ICF walls provide efficient seismic stability characteristics and, as noted above, excellent energy conservation performance. 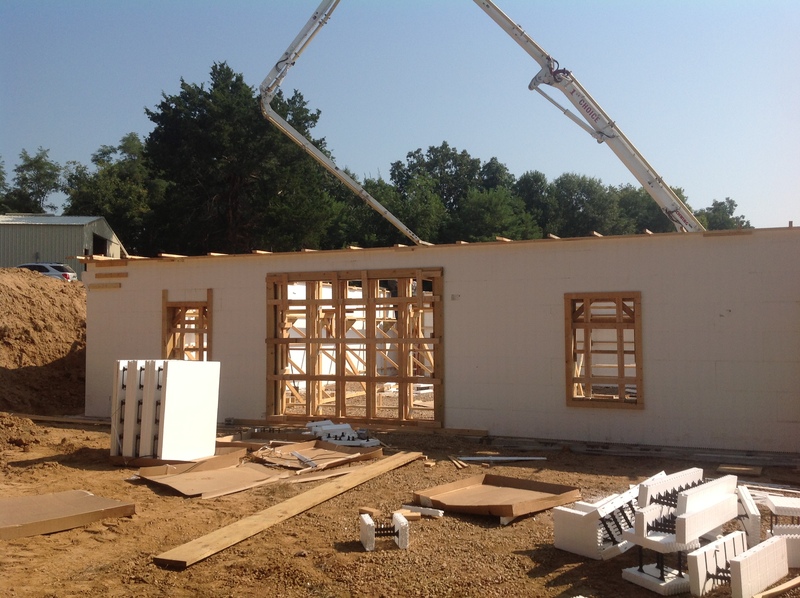 Using BuildBlock ICFs as the principal wall material, the ease of construction proved to be true with the building’s walls rising quickly from the building’s slab-on-grade: the entire time for complete wall erection and complete building enclosure was four weeks, an admirably short schedule that was partly the result of the innovative use of door and window frames with deep throats to wrap the ICF construction. Material wastage was minimal due to a careful layout and coursing of the ICF and the careful integration of related work. This parish center was planned as a simple structure that would be highly flexible to respond to the multiple uses that would regularly take place in it. The roof is composed of simple long-span steel trusses which allow for large open spaces in the interior of the building. The building is very carefully oriented on its site so that its fenestration provides both light and cross ventilation. 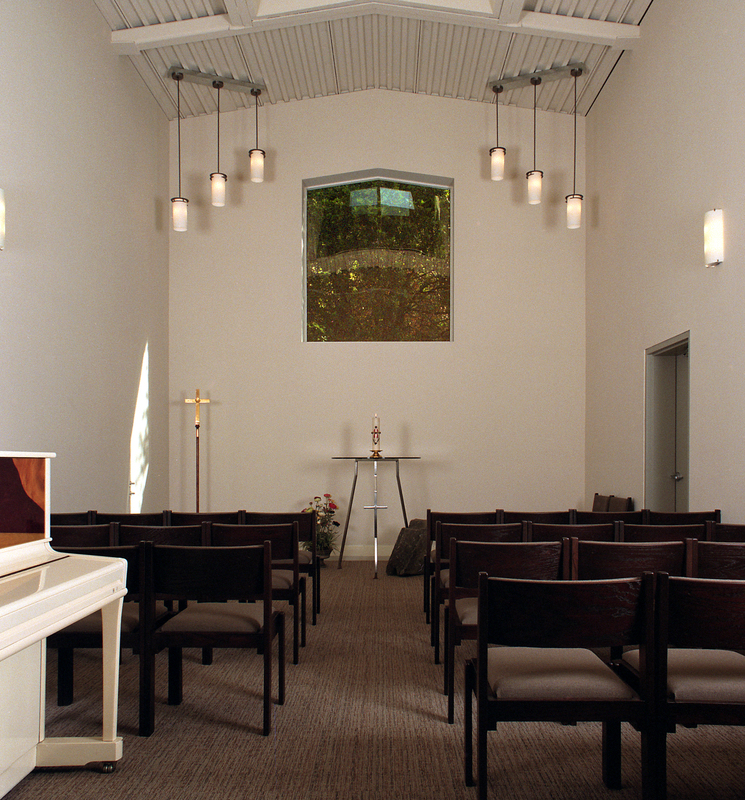 Clerestory lights in the canopies that extend above the roof introduce both natural light to the space and serve to accentuate the feeling of volume and openness within this parish center. The one major expanse of glass in the building is on its north façade where it provides both physical access to an exterior patio and visual access to the rural landscape of Northern California. The congregation loves the new building. The space is incredibly calm and quiet – quite suited to a chapel environment.